Bible prophecy has always been Israel-centered. God has chosen Israel as His people; He has chosen Israel to carry out His will in the world; thus all Bible prophecy has to do with Israel. As we know, America is not even mentioned in Scripture, however it has definitely had an effect on the course of world events and on bible prophecy because it has had an influence on Israel—sometimes for good and sometimes for bad. Harry Truman. It was Truman that recognized the state of Israel and signed it into law in May 14, 1948. 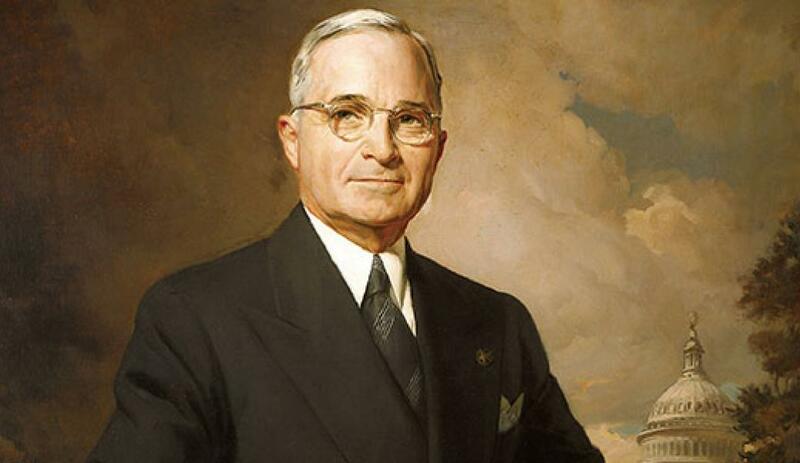 Thus Harry Truman played a key role in the birth of Israel and in the fulfilment of bible prophecy (read Ezekiel 37:9-14). Richard Nixon. On October 6th, 1973, Egypt and Syria attacked Israel by surprise with overwhelming force (of Russian tanks and troops). It was not looking good at all for Israel, and Gola Meir reached out to the U.S. President, Richard Nixon for help. According to Meir, Israel was facing certain extinction unless they got aid. Nixon suddenly knew why he was elected President—to save Israel. Despite opposition from both his cabinet and congress, Nixon ordered a total of 112,000 tons of ammunition and supplies, making it possible for Israel to defeat its enemies. Thus Nixon will go down in history as a great hero for Israel. Ronald Reagan. Reagan was one of the best friends of Israel. During another time of crisis in 1981, the U.S. under Reagan supplied plains to Israel, by which they were able to destroy an Iranian nuclear reactor, which may have been used against them. Donald Trump. Much of history has yet to be written under this President, but so far he has been very friendly toward Israel. It is clear that under all odds God rose him up to back Israel. Now, because of Trump, America is no longer a global nation (as it has been). America is for America and is also for strengthening Israel. Donald Trump I believe is presently, positively influencing bible prophecy. Jimmy Carter. Beginning with this President, America began to look to a new world Order and thus were no longer concerned with maintaining the survival of Israel. Carter was more concerned with the Palestinians than with Israel. H.W. Bush. After Reagan’s years of backing Israel, the U.S. resumed its global agenda under this President. There was much talk about the new world order. All countries were to get in line with this agenda, including Israel. Bill Clinton. Clinton did much to convince Israel to divide their land and give it to the Palestinians (Israel haters). This President has contributed much to the fulfilment of bible prophecy upon all who divide the land of Israel (read Joel 3:2). Read Joel Rosenberg’s blog on this. George W. Bush. Though G.W. Bush seemed to have good intentions, he was much like his father and like Clinton. He pushed for dividing Israel. Barack Obama. Though he said he was pro-Israel, he certainly was not. All his actions have demonstrated that he was anti-Israel. He has been not only a globalist, he is antichrist-like. Under this U.S. President Satanism and immorality has flourished. I believe this President has been a huge contributor to the growing agenda of what is to come under the antichrist. Main source: Amir Tsarfati, a speaker at Jan Markell’s prophecy conference. This entry was posted in Antichrist, Globalism, Prophecy Topics, The World Turns Against Israel and tagged Bible prophecy, Donald Trump, Gola Meir, Harry Truman, Israel, Israel becomes a nation, Richard Nixon, Ronald Reagan. Bookmark the permalink.